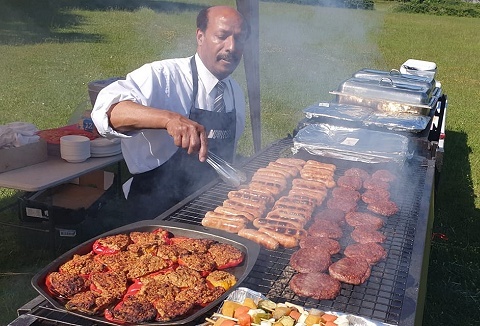 We provide an outstanding catering service specialising in spit roasts and BBQ's where we deliver, cook and serve your guests leaving you free to enjoy yourselves. All private parties and functions catered for including corporate events and public shows. 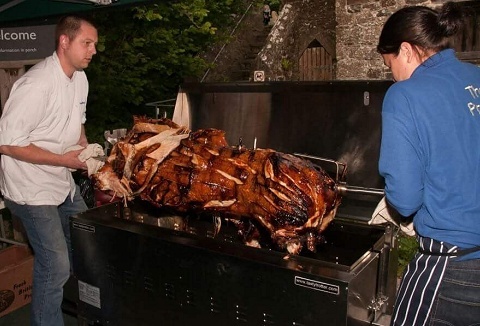 The hog roast experience… perfect for any event. Not only is a hog roast spectacular to witness it’s also so cost effective. We only use Devon's finest pigs and all our hog roasts are accompanied by freshly baked bread rolls & juicy homemade apple sauce. 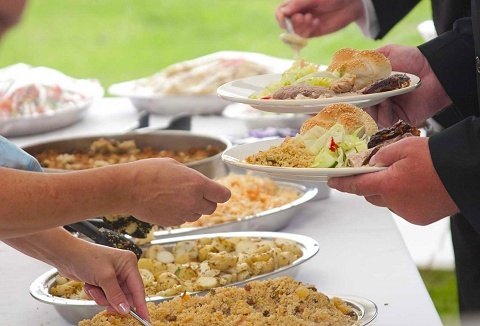 Attending all types of events from social occasions, weddings & festivals our home grown Gloucester Old Spots are cooked on a spit roast, rotating & continually basting itself producing succulent & tender meat. We use our own free range rare breed pigs. 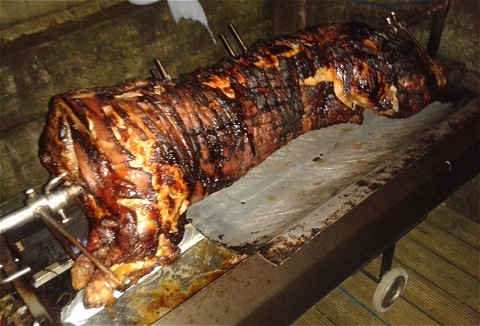 We provide hog roasts for all manner of events from christenings, weddings to large corporate fun days & launch parties. We can provide various options & prices accordingly, from simply carving your hog roast for you to a full three course sit down meal. Established family business with a reputation for friendly & efficient service. We spit roast whole hogs, lambs, venison & hogget, locally sourced, cooked from raw & carved straight to the plate by trained chefs. We use smokeless spit roasting machines. What ever the event or occasion we can provide hogs that are locally produced, cooked fresh on the day in a purpose built spit roast then carved and served by our qualified chefs. Mixed meat platters, beef, pork, turkey, lamb & vegetarian choice as well. We offer a bespoke meat roasting service to meet the requirements of each event that we attend. Produce is locally sourced, our price will include attendance, meat, bread rolls, stuffing and a choice of condiments. We rear our own selected livestock. Our unique portable hog roast machine creates the perfect hog roast. Using only locally sourced succulent whole pigs, we steam roast the pig to perfection. If you fancy something different, lamb, venison, beef, our versatile machine enables us to do so. 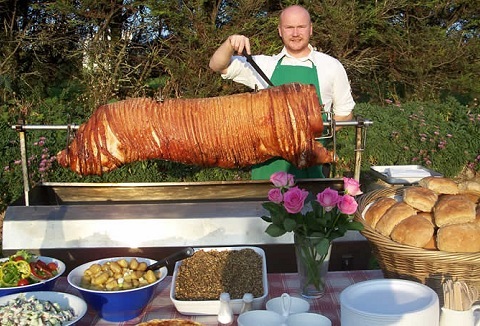 We offer a range of hog roast packages to cater for your every need including machine hire only to full function catering with qualified chefs. Our meat is of the highest standard & supplied by local farmers. 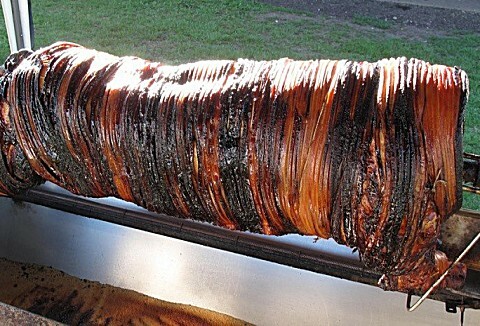 Call for a no obligation hog roast hire quote. 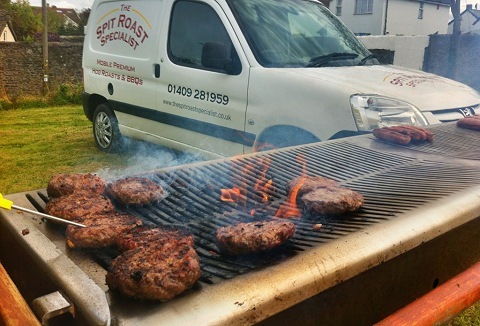 We specialise in providing a full range of top quality food for weddings, parties & corporate events. Our diverse menus range from traditional BBQ's, home baked pasta, freshly prepared seafood and vegetarian options to exotic Mediterranean style options.